There’s an old English saying taken from a traditional Chinese curse which reads “may you live in interesting times”, and cursed or not, we certainly do. The Gallagher brothers dominating the airwaves in between their personal spats, Jurassic Park set to woo cinema-goers this summer following Jumanji last Christmas, a new series of Animaniacs on the way, and millions of Pokémon enthusiasts worldwide trying to catch ‘em all – wait, what decade is it again?! 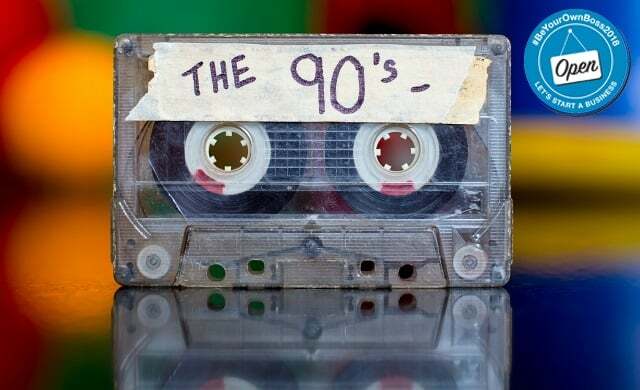 Whether you like it or not, the 90s is back (alright!) and it’s a trend all fashionistas are quickly picking up on. With classic 90s-style trackies made by the likes of Umbro, Kappa, Fila, and ellesse all experiencing renewed interest among high-flying celebs and high street shoppers alike, the revival doesn’t end there. Even more choker necklaces, floral dresses, crop tops and dungarees are expected to be on show this summer, with glitter cheeks and facial paint fast becoming a staple of the festival look. Not solely consigned to summer, leather jackets, flannel shirts, mom jeans, matching sets, round glasses, and double denim (think B*Witched) are all set for a massive 2018 comeback – with combat boots, platform shoes and even jelly sandals stepping back into the limelight. While in the cosmetic department, metallic makeup (the stable of any good Spice Girls music video) is set to face strong demand – with dark lipstick the 2018 beauty tip on everyone’s lips. Vogue even recently declared that the much loved scrunchie is back for good, while Kylie and Kendal Jenner have been seen sporting the likes of Juicy Couture, Calvin Klein and Von Dutch by their combined 186 million Instagram followers. Not solely relying on retro re-sales, big brands are even taking inspiration from 90s pop culture for their new lines. For example, American independent makeup brand Lime Crime recently launched a line of eyeshadow palettes inspired by 1990s Polly Pocket playsets, Missguided released a sold-out range of Barbie-branded clothing, while Forever 21 has stocked ranges of Nickelodeon-branded sweatshirts. Proving when it comes to starting a nostalgic brand, there really is no time like the present. An industry worth over £26bn and 800,000 jobs to the economy, the UK’s fashion industry is the nation’s largest creative industry – and the most obvious port of call for someone who wants to cash in on the nation’s 90s obsession. Indeed, a huge price plus to you starting your own fashion business – is that initial overheads can be quite low, especially if you’ll just be buying stock from wholesalers rather than creating it yourself. If you decide to produce the clothes yourself, you’ll only need the most basic of equipment to start with – and will only need to invest in more professional equipment once demand has increased. A real kitchen table business, you should also be able to operate from your home, allowing you to keep your day job. Profit margins can be fairly small (see below) so bear this in mind when considering your price points. And remember, when sourcing your stock, authenticity is everything – so knock-offs need not apply. Certainly Tied To The 90’s, retro store Best Days Vintage sources all its stock from Europe and North America, and sells an ever-changing selection of one off garments from the 60s right up until (you guessed it) the 90s. Run by best friends Steve Hurdle and Jez Dixon, the pair opened up a second branch in Ipswich, but are also able to sell worldwide via ASOS Marketplace – one of the world’s leading vintage online clothing sellers. With marketplaces becoming increasingly popular with consumers, if you can secure a listing, there’s a chance to get your burgeoning brand in front a big audience of consumers. Even if you’re not cut out for the fashion industry, a whole range of 90s-related business opportunities remain. With modern gaming coming in for criticism for its lack of ability to ‘pick up and play’, due to long initialisation times and reliance on playing online, as well the modern costly phenomenon of microtransactions – opportunities exist in retro video games. Consolepassion.co.uk is run by husband and wife team Andy and Helena Brown and is one of the UK’s most popular retro console games retailers. Selling games and consoles from a range of eras, the duo ship hundreds of worldwide orders each month. Music too is not immune from a retro rewind, with previous years seeing the mainstream return of vinyl records, cassette sales grew 35% in 2017 – with new albums by Eminem and Morrissey as well as the soundtrack to Guardians of the Galaxy Vol. 2 being released on tape last year. Or, why not try and keep consumers sweet by selling some retro candy so they can relive their childhood memories? Keep It Sweet sells a whole range of your favourite sweets from the 90s – including Chewits, Dib Dabs, Refresher bars, and flying saucers. Still not sure what exact what avenue you want to go down via memory lane? Why not combine a number of 90s favourites in a subscription or gift box? TimeJunkies sells 90s giftboxes on online craft marketplace Etsy. Catering for both grown-up boys and girls, the special packages include a copy of Q magazine, an edition of Goosebumps, Pokemon cards, Pogs, lip smacker and corinthian prostars. “Vintage Clothing moves in cycles, as the world of fashion does. Street style, takes huge inspiration from earlier eras – and this changes as time moves on. “In my humble opinion, style moves in a 20-year cycle. Hence new generations finding influence in 90s fashion. “Don’t expect to become rich off this industry. It’s really tough to make profit, with all the massive costs involved in running a business. “We have been trading for nearly five years, and are only now seeing a very small profit.